The Immigration and Nationality Act (INA) makes it illegal for employers to knowingly hire undocumented workers and requires employers to verify each worker’s identity and eligibility by completing the I-9 Form. An employer’s failure to complete the I-9 Form can result in criminal and civil penalties. The INA also protects individuals from employment discrimination based upon national origin, citizenship or immigration status. The Office of Special Counsel for Immigration Related Unfair Employment Practices (OSC) enforces the INA’s anti-discrimination provisions. Victims of discrimination may file a complaint with the OSC to seek back pay, reinstatement and other remedies. With so much at stake and so many potential pitfalls, it is important for all employers to familiarize themselves with the requirements and implement policies and procedures to ensure compliance. Discriminating on the basis of citizenship or immigration status, with respect to hiring, firing, recruitment or referral. This rule applies to employers of four or more employees. Requesting more or different documents to verify a worker’s employment eligibility. 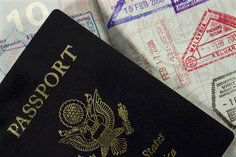 An employer may not request different or additional documents for determination of citizenship or national origin than those documents specified on the I-9 Form. Furthermore, an employer is not permitted to reject genuine-looking documents. Retaliating against an individual who files charges with the OSC, cooperates with an investigation or contests an action that may be considered discriminatory or in violation of the INA. Refrain from using discriminatory language in job postings, such as “green card only” or “U.S. citizen only,” unless it is required by law or by a government contract. In completing the I-9 Form, do not request specific documents over other permitted documents. Each employee is permitted to present any document from the list of acceptable documents stated on the form. Refrain from selectively verifying work eligibility for only certain employees based on their citizenship status or national origin; whatever your policy, make sure it is applied consistently to all employees. Avoid the appearance of discriminatory practices by verifying employment eligibility only after you have made a hiring decision, and give the employee three days to provide the required documentation. Do not immediately terminate an employee if you receive a “no match” letter from the Social Security Administration. While such a letter may mean the individual is not authorized to work in the United States, it is also possible that there is a discrepancy in the record due to a clerical error or legal name change. If you suspect that an employee is not legally eligible to work in this country, notify the employee and request valid employment eligibility documents before terminating or suspending employment.